Went to the genocide museum today. To try and put into words what I felt, what was seen and what was left to my imagination would be impossible. To be able to put it into context I should tell you that I was raised in a home where my Mom’s parents told stories about surviving the Holocaust, how their families were both murdered and their personal exposure to physical and emotional abuse from the concentration camps. I can recall both grandparents telling stories about their journey to compete for life and finding peace within it. I can still see their eyes welling up and simultaneously their souls overflowing with pride, as they told me about their lowest points at the dinner table. I can imagine my grandfather escaping a concentration camp where he would ultimately lead a group within the Partisan movement, after his first wife and son were killed on his birthday in one of the Holocaust’s largest massacres. And I can vividly see my grandmother hiding out in farm-town after farm-town after she learned that her entire family had been axed to death walking home from school one afternoon. Also, in the last few years I have been blessed to visit Yad Vashem in Israel, as well as the Vietnam War Memorial Centre. While those were mind blowing, nothing could touch this past December as I walked along the Killing Fields in Cambodia, where the remains of 1,386,734 victims of execution lie. As i entered the outskirts of the Kigali Memorial Centre i was aware that it was a burial ground for over 200,000 people and inside stories would be told of this nations great history, including the 100 days where over 1 million people died, tens of thousands were tortured, mutilated and raped and tens of thousands more suffered machete cuts, bullet wounds, infection and starvation. As I walked through the memorial center the common thought I struggled to wrap my mind around was that this genocide happened in my lifetime. When I was playing junior high hoops, a potential teammate of mine was watching his mother and sister get raped, his father and brother get tortured and eventually wait as his own life would soon be taken. When I wondered if people could escape i was reminded that soldiers would cut your Achilles tendons at night so you could not run away, only to torture you come sunrise. When I thought of the women i was reminded that over 500,000 were raped and brutally beaten, often by men who knowingly had AIDS. When I imagined what it was like the day the genocide ended I was reminded that there were over 300,000 orphans and more than 85,000 children who were now heads of their households and had younger siblings or relatives to look after. When I thought about the parents that had survived I was reminded that tens of thousands of those widows had seen their own children murdered…before, during or after they were raped. In 1994 Rwanda was dead. Almost 20 years later Rwanda, like Israel, Vietnam and Cambodia, has come back, more united and stronger than ever. 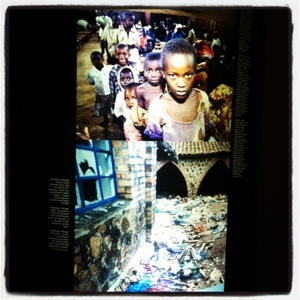 And in 2012, Rwanda is more alive than ever.